The Sound Wall is a multi use creative studio located in Historic Downtown Opelika, AL. Featuring two studio rooms, an ISO room, a pro tools production suite, gourmet kitchen and a 1000 sqft artist residence. 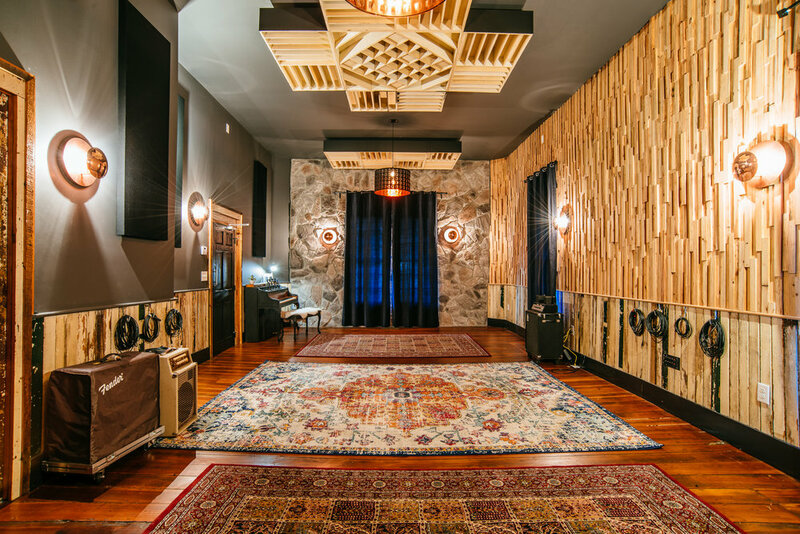 The Sound Wall Studio has a 433 sqft live room with 12 foot ceilings. The studio serves as a multi-purpose live recording room, rehearsal space and listening room for live events. Our chef's kitchen features a large farm table made of repurposed heart pine from the house. The kitchen serves as a family table for artist and crew, as well as culinary events. Our production suite is a Pro Tools and Logic Studio with 48 channel analogue CAD Console.